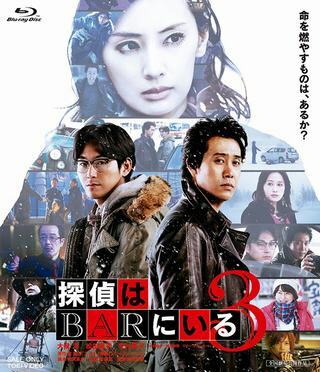 To solve the case where the detective and its partner · Takada was involved in the bar of Susukino in the entertainment district of Sapporo in Hokkaido. I am a high school student. I happen to find a diary written by my classmates, Sakura Yamauchi that reveals she is suffering from a pancreatic disease. I spent time with Sakura, but she dies. 12 years later, due to Sakura's words, I am now a high school teacher at the same school where I graduated from. While I talk with my student, I remember several months I spent with Sakura. Meanwhile, Kyoko, who was Sakura's friend, is soon to marry. Kyoko also recalls the day she spent with me and Sakura. Keisuke Ninomiya works as a construction consultant. Through his work, he becomes acquainted with yakuza Yasuhiko Kuwabara. 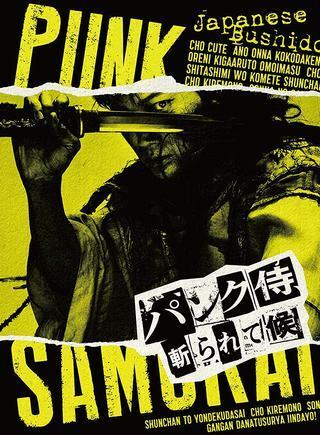 One day, film producer Koshimizu brings a movie investment proposal to yakuza leader Shimada. Shimada decide to invest in the film and he assigns Yasuhiko Kuwabara to oversee his investment in the film. Prosecutor Kohei Kuryu (Takuya Kimura) takes charge of a possible murder case implicating diplomats from the foreign embassy of Neustria. Due to the extraterritoriality involving the case, the investigation is doesn't go anywhere. A crisis then ensues. Kohei Kuryu and his office attempt to extract the truth behind the wall of the Neustrian embassy. Atsushi (Koichi Sato) and Ryoko (Kanako Higuchi) are a married coupled. They decide they want to live around nature and move to Biei in Hokkaido, Japan. Atsushi isn't sure what to do with his free time, so Ryoko asks him build a stone wall around their house. Atsushi experiences tragedy, but later gets closer to his estranged daughter, Satoko (Keiko Kitagawa). Atsushi continues building the stone wall. New student Kanji transfers to 6th grade 2 class, where Ayami Mutoi (Keiko Kitagawa) works as the homeroom teacher. Students begin to talk among themselves that they have seen new transfer student Kanji in a dream. Yuiko Koto (Manatsu Kimura) also had a night mare. In her nightmare, a boy that looks transfer student Kanji appeared as a prince. Ayami Mutoi tries to keep that to herself. She actually likes the prince in her dream. Tsukasa got into a severe car accident when she was a high school student. She still suffers from the effects of that accident, with memory impairment and needing to use a wheelchair. Tsukasa falls in love with taxi driver Masaki. Even though they have difficulties, they try to make a happy family together, but they encounter another serious situation. 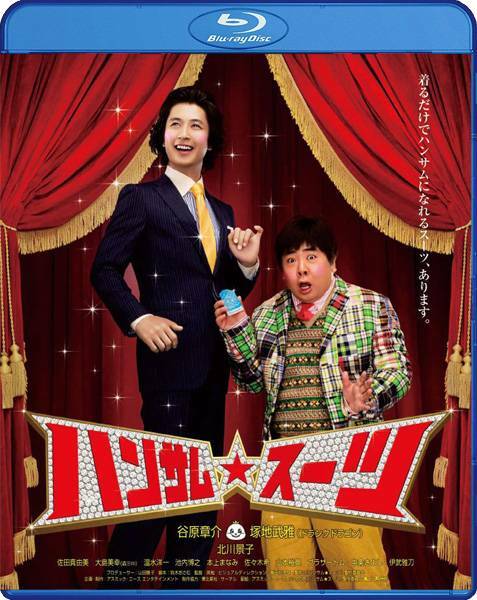 After taking the blame for another disastrous advertising campaign, Ota Kiichiro is asked by his arrogant boss Otaki Ichiro to take his place as a judge at the world's biggest advertising competition in Los Angeles. The catch: Kiichiro must make sure that a lambasted ad created by a potential investor's son wins the contest. Harumi Hagiwara lands in the hospital after being involved in an accident. She hits it off with her nurse, Reiko Nishimura, and the two decide to move in together after she's discharged. However, Harumi begins to witness a series of mysterious events soon after noticing Reiko's strange behavior. Additionally, she fears for her own safety when Reiko starts referring to herself as 'Mari' as if she's become an entirely different person. Before long, the situation develops into a case of murder. Kageyama (Sho Sakurai) works as the butler for rich heiress Reiko Hosho (Keiko Kitagawa). Reiko happens to be a novice detective but lacks certain deductive skills needed by detectives. Because of this Reiko relies on Kageyamaa to help her solve cases. Meanwhile, Kageyama isn't afraid to mince words and often calls out Reiko with his sharp tongue! The main characters are the Mamiya brothers who are living together although they are over 30-years-old. Unconcerned with appearance and reputations, they enjoy their life in their own way. The only concern is the lack of girlfriends. One day, however, a change occurs to their mundane lives. The elder brother, Akinobu (Kuranosuke Sasaki), falls in love with a girl at a video shop. The younger brother, Tetsunobu (Muga Tsukaji), scrambles around to aid his brother achieve love and arranges various dates. The elder brother strives to return the effort, but gets the cold shoulder. The two brothers return to their original lives, continuing with their ordinary, but happy days. Handsome Suit revolves around a magical suit that makes its wearer more attractive. A chance encounter leads Yukari, a burnt out high school student, to a group of dedicated fashion design students. She becomes their model for their graduating exhibition and discovers her talent for modeling.